As a B2B company, you should be pushing to reach new clients and generate new income at all times. 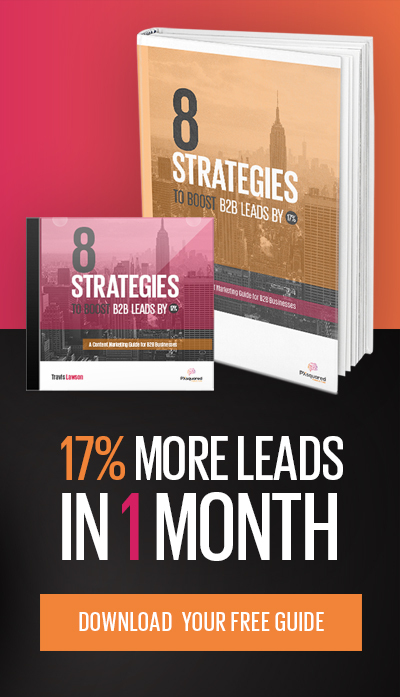 You may have a strategy in place to generate new business or you may have had some success with word of mouth referrals; but, are these methods giving your audience the maximum amount of leads possible? It is important to have a proactive method of generating new business for B2Bs and content marketing is the powerful tool that allows for this to happen. It expands your reach to a whole new section of a market that you have otherwise not have had easy access to. 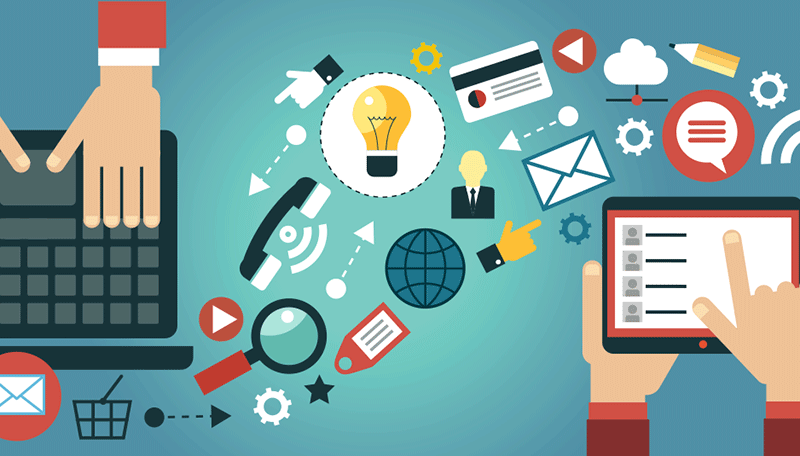 Having a great online marketing strategy opens up entirely new funnels to generate revenue. It is proven that today people are searching and buying smarter with 83% of B2B buyers doing their research online before making their next purchase. This is where your clients are looking before making a decision, and this is why having an online presence with strong content marketing will prove to be invaluable. Buyers rely on a variety of online sources to make a purchase decision. The most popular sources include supplier websites, Google searches, user product reviews, blogs, social media and third-party websites such as Amazon Supply. Clever use of content that: creates a brand with a personality. Content marketing is all about communication and to stand out from the crowd, you need to have a voice of your own that your clients can immediately recognise. Take GE for example – with a current number of 417,000 subscribers on Twitter, 226,000 on Instagram and 93,507 on YouTube, this is a brand that has done content marketing right by showcasing a personality that engages their audience. Not only does the brand have a personality but they are constantly in the process of telling stories. These stories range from their latest discoveries, technologies, and having a passion for a subject that helps GE expand its reach to the market. 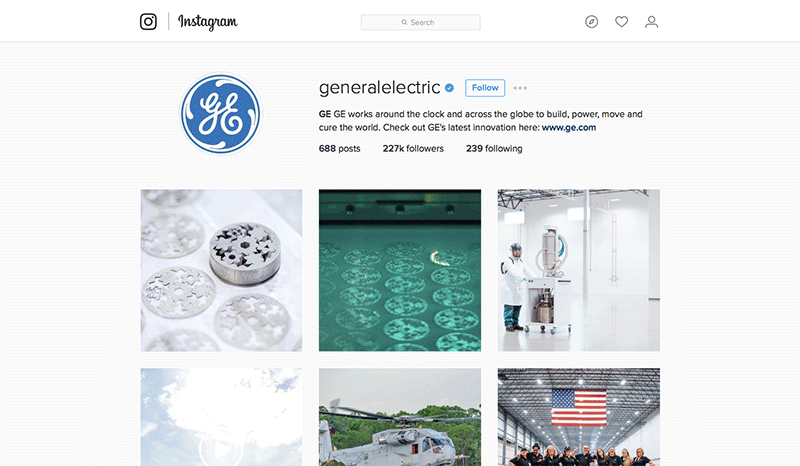 GE’s bold personality shows in their ability to take risks in their content marketing. The brand is not afraid to use humour or demonstrate their love for a subject while openly engaging with their followers. Your business may require for you to speak to a range of audience – from small startups to big businesses – and sometimes, a one-size-fits-all approach may not work. This is where your strategy needs to consider the needs of your audience to produce content that is relevant. 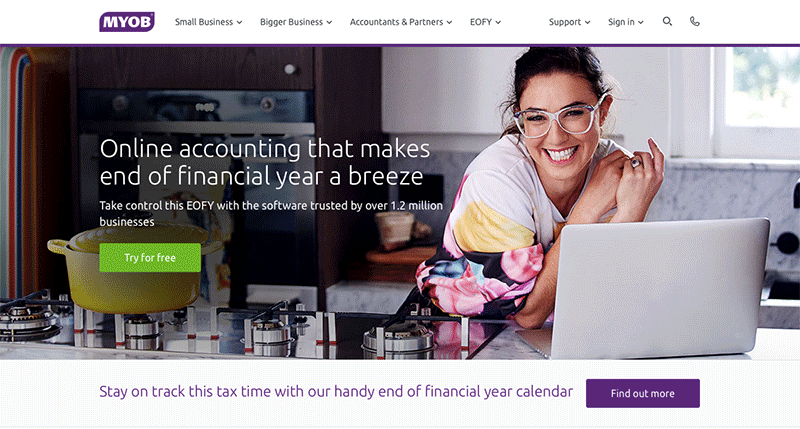 MYOB is an example of a company that is able to recognise the varying needs of its audience. As a provider of business management solutions, the brand has gained a deep insight into the needs of its clients at different stages of their business development. The brand produces content on its hub that is cleverly angled to the needs of its different customers – from providing tips to emerging businesses to developing a breakthrough solution for brands to take the customer experience to the next level. This is where FireRock, a HubSpot customer that manufactures pre-engineered masonry products for contractors and home builders, has taken advantage of this knowledge. The brand has one of the best Pinterest accounts for a B2B company. Captivating through image is so important these days. Your customer’s attention is growing shorter while their to-do list is growing longer. You want to stop them in their tracks with something visually powerful that gets the message across and helps them understand who you are and what you do in a simple second. 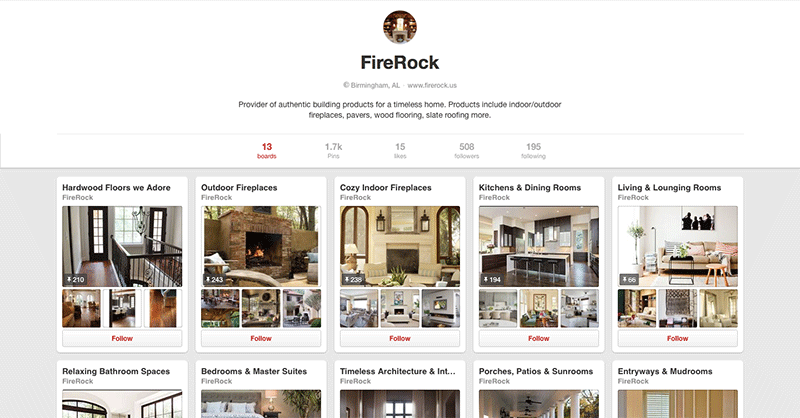 While FireRock optimizes Pinterest for their business, there are other ways to use visuals too. Through infographics, images and videos, you too can create your piece of visual marketing material that speaks for your brand. As new media and channels emerge, it is important that your brand continues evolving its strategy to include them. So, take time to consider where and how you should showcase your business’s visual content and how you can market it to your target audience in an engaging manner. Clever use of content that: focuses on providing a solution instead of selling a product. The end goal of content marketing is to generate leads that lead to conversion and return on investment. However, there is an essential key to all of this that most brands and businesses tend to overlook – trust-building. 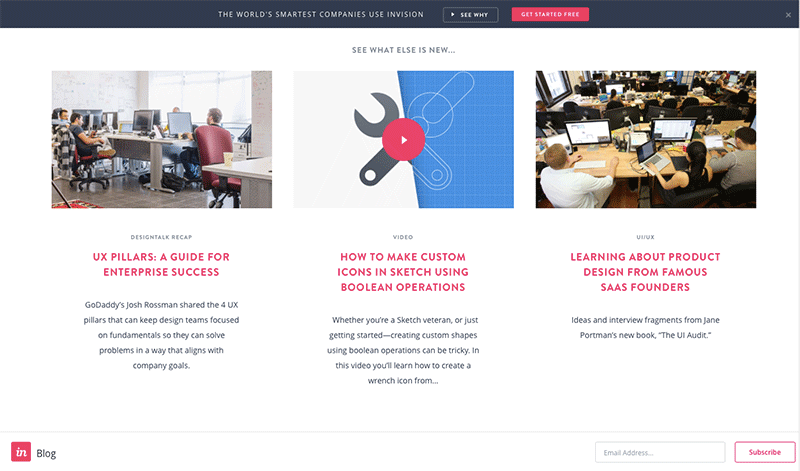 InVision is a is a prototyping platform that helps companies collaborate on designs. Since its launch in 2011, InVision has built a user-base of more than 700,000 and a fervent audience of blog subscribers. But if you were to look through their blog, you would hardly be able to find mentions of the platform. What you will find however are publications available for designers. The articles focus on thought leadership in design, inspiration and culture. The brand is able to tap into the needs, wants and passions of their audience and bring that to the table rather than offer a sales pitch that the audience could turn down. This is how a brand like InVision builds trust – they gain a true and meaningful insight into the needs of their audience and prove by action that they are the perfect solution. Throughout these examples, there is one key thing to note – content marketing made an impact in their businesses. By applying the right strategy and executing content that meets the needs of your audience, you too can take your business to the next level. Adopt thoughts and lessons from these industry giants. Find your brand’s tone of voice, use it to your advantage and never forget the importance of providing for your audience.